This historic site, restored by THPRD, was designed and built in 1859 by Augustus Fanno. 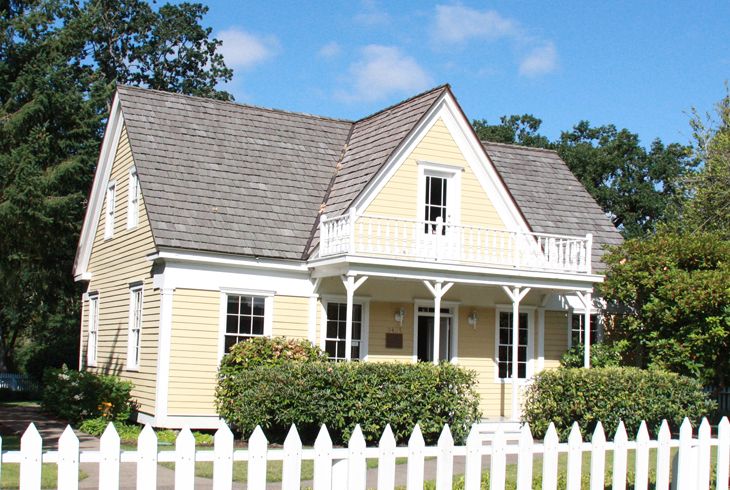 Fanno Farmhouse, designed and built in 1859 by Augustus Fanno, is adjacent to Greenway Park (along Fanno Creek), south of SW Hall Boulevard. Listed on the National Registry of Historical Places in 1984, Fanno Farmhouse has been honored as a significant historical site by Tualatin Valley Heritage, named as a Century Farm, and nominated for the 1985 Griffin Cabin Award by the Washington County Historical Society. Currently, the building hosts a comprehensive preschool program administered by Conestoga Recreation & Aquatic Center.